The best car wash builders know a lot of statistics about their industry. 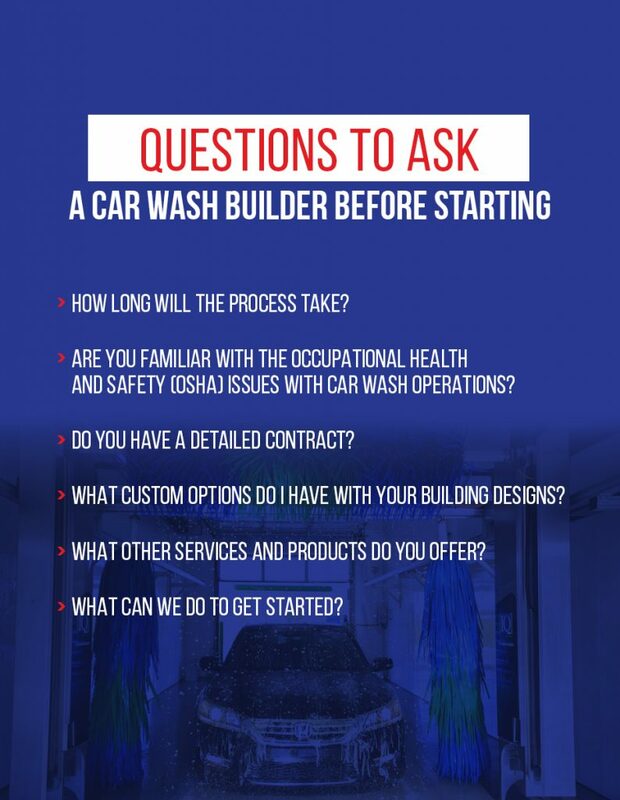 If you’re already a car wash owner, or if you’re considering entering the car wash business, you might be surprised to learn a few things expert builders know. For instance, there are three main car wash designs for you to consider. 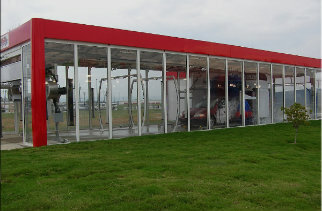 Automatic buildings: These are full-service designs where cars stay stationary while the washing and drying equipment revolves around the vehicle. Tunnel buildings: These are also full-service car washes. However, the equipment remains stationary while the vehicle travels through the wash tunnel. Self-service buildings: These are open-bay designs where the customer has full control of the wash brush and wand to clean a stationary vehicle. Tunnel car washes are the most popular design, with 28,500 buildings across America. Automatic car washes are the second choice of Americans, with 27,000 locations. Self-service buildings are a close third, with 24,000 do-it-yourself washes in the country. Each year, more than 2 billion cars go through commercial car washes in North America. Consumer use of car wash businesses has increased by 72 percent in the past two decades. The average car wash price is $7.50 for an exterior wash. The average number of washes automatic car washes handle annually is 18,979. The average annual revenue for an automatic car wash business is $147,000. There’s a common saying in life that you get what you pay for. That’s not necessarily true when it comes to selecting a professional car wash builder. Car washes are highly complex and specialized construction projects. If you make a poor decision and hire the wrong car wash supplier and installer, you might, unfortunately, end up paying a lot more for that mistake in the long run. There are many boxes to check off on your choosing-a-car-wash-contractor checklist. The first two should be experienced and reputable. Your car wash builder must have experience in this unique construction field. They must also have the reputation of being honest, reliable and capable. That’s not too much to ask when you’re investing valuable and hard-earned capital in your car wash project. Other considerations for choosing a car wash installer include whether they work with a brand-name supplier and what guarantees they place behind their work. It’s advisable to conduct this general due diligence as a prudent businessperson. One of the most significant considerations when choosing a car wash contractor is their team. The term “contractor” has several connotations. It can mean a general contractor, where an individual or company acts as a single point of contract that sub-contracts individual responsibilities to specialized parties. Or, a car wash contractor can be a general supplier of building systems that maintains dedicated crews to deliver and install turnkey operations. New Horizons is an excellent example of custom glass car wash structures that provide you with a complete contractor service anywhere in America. 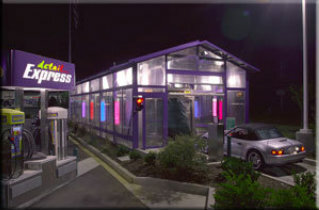 New Horizons supplies glass-enclosed automatic, tunnel and self-service car wash buildings manufactured by CCSI International, Inc. This world-class manufacturing capability extends into field installation to give you the best possible value in a quality finished product. When you contract a car wash building expert like New Horizons, you can rest assured of experienced and reliable service. You’ll get what you pay for without any expensive surprises, unknowns or mistakes. These are the primary consideration points to watch for when choosing a car wash contractor. Experience: Assembling a car wash is a specialized profession. It’s not the same skill as erecting stick-frame houses or pouring commercial concrete foundations. Modern car wash buildings like full glass structures require experienced crews who know what they’re doing. They’ve committed to making their livelihood in the car wash niche market. Experience counts when erecting glass-enclosed car wash structures, and that’s exactly what you’ll find at New Horizons. Reputation: Ultimately, it’s your responsibility as an owner or investor to investigate the car wash contractors you’re considering for the job. Reputable contractors will be open and honest about their business and qualifications, including showing you a portfolio of projects they’ve completed in the past. Reputation travels far and fast. That’s especially true in modern times, when you can search online and read what others have to say about your prospective contractors. If something doesn’t check out, you’ve likely saved yourself a lot of time, money and headaches. Team: No car wash contractor acts alone. The best and most professional builders surround themselves with the highest-quality team members they can assemble. An experienced car wash team starts with the building supplier and carries into the field with skilled trades and craftspeople. With the right team, you can be confident your car wash project’s completion will be on time and within budget. The wrong team can cause a lot of hassle with incorrect installations, missed responsibilities and shoddy work. Professional support: A good car wash builder will have complete professional support from start to finish. Professional support starts at the design stage, where architects, engineers and designers plan every structural detail associated with your car wash choice. Professional support also carries out in the field. Your field team likely includes a geotechnical engineer to certify stable ground, a structural engineer to sign off on concrete and steel works, an electrical engineer to oversee wiring, a mechanical engineer to supervise HVAC systems and a civil engineer to ensure your car wash is compatible with existing infrastructure. Equipment: Building a car wash is a specialized endeavor. As such, car wash construction requires specialized equipment for assembly. Most general contractors and commercial builders don’t have the specific equipment required to assemble custom car washes. Glass car washes are even more specialized. Highly skilled professionals who deliver and install glass buildings have unique equipment that’s not typical on day-to-day construction sites. Even local construction equipment rental companies won’t have all the tools necessary to do a thorough job in building a modern car wash. Only the right car wash builder will have the right equipment. Permitting and process: No matter where you plan to build your new car wash, you’ll have permitting and other processes to follow. Because car washes are unique structures, car wash permits and approval processes will be unique as well. Wading through the pools of public paper might be overwhelming for you, not to mention frustrating. However, the right builder who is familiar with car wash construction will look after the permits for you and work you through the civic process. That always involves retaining engineers for drawings, stamps and signing. If you select a contractor who knows the car wash business, they’ll greatly relieve you of pressure and responsibility. Budgeting: An experienced and reputable car wash contractor will be completely transparent about financial matters. You should expect a line-by-line expenditure estimate and a realistic working budget. It should also be comprehensive, so you don’t have to face with the dreaded run-on of extra costs. A top builder will offer you different fee services from lump-sum contracts that include everything for a guaranteed price. You might work out time and materials with a stipulated management fee in an arrangement called a cost-plus contract. Or, you might decide on a design-and-build agreement where you partner with a supplier like New Horizons to custom-design your car wash and get it delivered and professionally installed at your location. Licensing and insurance: Make sure the contractor you choose to build your car wash is properly licensed and insured. That means they are not only current with payments, but also actively approved to operate in your area. Bonding is one aspect of business insurance, but the most important box on your check sheet is workers’ compensation. If your builder isn’t registered and current with the compensation board in your area, you could be liable if someone gets injured on your job site. All reputable builders will provide insurance proof as well as a clearance letter from your compensation board. If there is any hesitation around insurance issues, stop the selection process and move on to interviewing another contractor. Warranty: The right car wash builder will also have the appropriate warranty. Your building’s guarantee starts with a professional car wash supplier’s back-up on materials and ends with your contractor’s willingness to return and deal with problems. A reputable supplier has manufacturer-supported equipment and maintenance assistance. Your supplier will also have building accessories for your convenience and safety. The builder you choose should offer a warranty package and be willing to explain it without fine print or confusing jargon. The best warranty you can get in the car wash business is when your supplier and building contractor are part of the same team. That includes the team members that help you design your car wash to make sure your warranty call-backs are minimal. How long will the process take? The answer is that it varies, based on things like the car wash type, such as an automatic, tunnel or self-service building. It also depends on factors beyond anyone’s control, such as weather or material shortages. Are you familiar with the Occupational Health and Safety (OSHA) issues with car wash operations? Following OSHA regulations isn’t optional. Specialized car wash contractors like those at New Horizons are intimately familiar with OSHA regulations and the alliance between the U.S. Department of Labor and the International Carwash Association. A reputable car wash builder will make sure your new building is OSHA-compliant. Do you have a detailed contract? A professional car wash supplier and installer like New Horizons will answer this question before you ask it. Of course, there will be a clear and concise written contract. It will also be one you can understand, although New Horizons always recommends you have a lawyer review it before moving ahead. What custom options do I have with your building designs? This question is where a company like New Horizons excels. New Horizons has a wide range of options and custom selection for your choice. Choose from colors, materials and upgrades like vacuum islands, chaseways, knee walls, equipment rooms and specialized roof panels. If you don’t see something on our website, ask our experienced staff, and they’ll look after your need. What other services and products do you offer? When you partner with New Horizons, you have an incredible variety of ways to customize the look and layout of your new car wash. You also have access to our line of canopies and extensions. What can we do to get started? The ball is in your court with this one. The best thing you can do to start building your new car wash is to contact New Horizons and talk to our car wash building experts. They’ll guide you through the design phase and tell you exactly how our crew will deliver, erect and commission your building. If you’re ready for a world-class car wash that’s accepted by leading architects, engineers and experienced car wash builders, it’s time to contact New Horizons. Our lines of automatic, tunnel and self-service car wash buildings are without equal. We have fully customizable glass structures with the latest in innovations. New Horizons’ custom glass car wash buildings are functional, reliable, low-maintenance and visually appealing. All New Horizons glass structures manufactured by CCSI International, Inc., are fully guaranteed and backed by an exclusive warranty program. That’s true from our factory manufacturing process all the way through our all-inclusive field installations by the best in-house specialists anywhere. Let New Horizons be your select car wash builder for your new business venture. 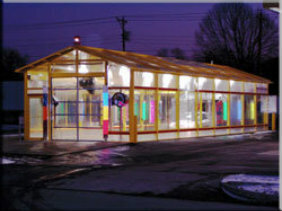 Call us today for a fully custom glass structure. Call us at 800-537-8231, or reach out to us anytime through our online contact form.